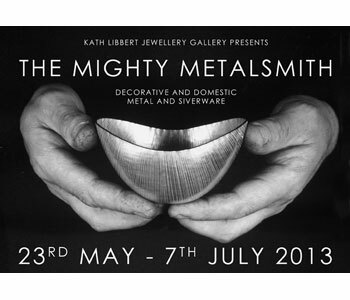 Age old techniques coupled with contemporary flair create a striking selling exhibition by thirteen top metalsmiths, celebrating the great skill and craftsmanship alive and well in Britain today. Amongst the makers represented are: Rauni Higson whose intricately made rippling silver vessels are inspired by the wild beauty of her home on Snowdonia; Adrian Hope who embraces the traditional technique of hand raising silver to produce finely fluted bowls in his studio in the Scottish Borders; Adi Toch with work which is a perfect marriage of skill and design resulting in rounded tactile forms which combine elegance and functionality - her ‘gently rocking’ oil and vinegar set recently won the Goldsmith’s Company Best New Design Award; Chien-Wei Chang who uses the natural form of bamboo, which has great cultural significance in his native China, to create exquisite vases which embody an oriental aesthetic, and Sheffield based Rebecca Joselyn whose quirky pieces explore the culture of convenience and “throwaway” in our society – for example her gilded silver milk jug mimics a crushed tin can and her salt and pepper pots are inspired by ring pulls! As part of the exhibition the gallery will host a special event on Sunday 9th June (free to the public but booking essential) where there will be an opportunity to meet renowned silversmith Rauni Higson. She will be discussing the techniques and inspiration behind her work, and her approach to commissions, with a special focus on her 2011 commission on behalf of the People of the Royal County of Berkshire which was presented to the Duke and Duchess of Cambridge on the occasion of their Royal Wedding. 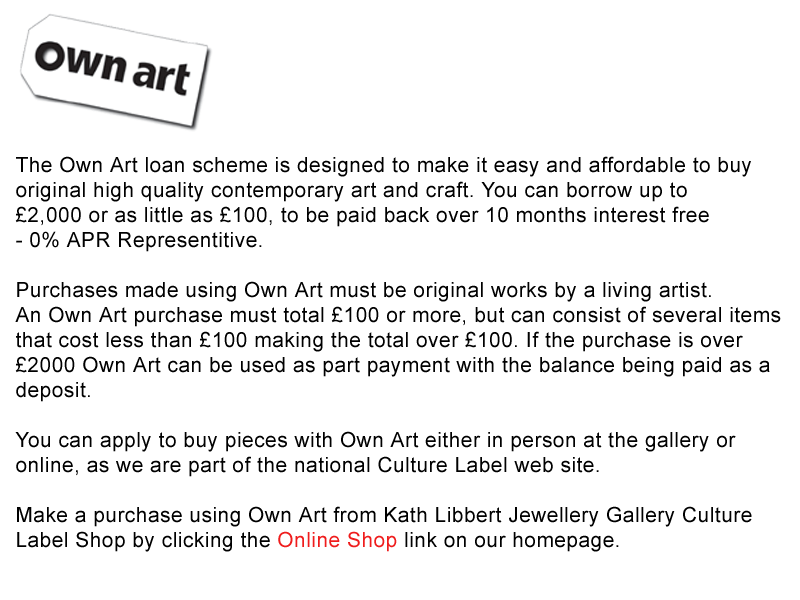 Kath Libbert Jewellery Gallery has always been a place to go for those looking to commission a special piece of jewellery, and now the gallery is extending this knowledge and experience into the field of contemporary silverware to encourage the commissioning of objects for the home. The thirteen Mighty Metalsmiths in this exhibition will all take commissions – a wonderful opportunity to be personally involved in the making of a treasured piece that can be passed down the generations for years to come.